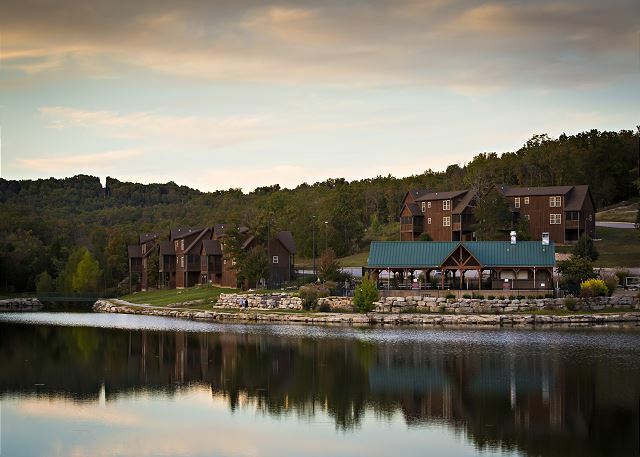 Get the most out of your Branson vacation by staying in this beautiful 2 bedroom lodge! 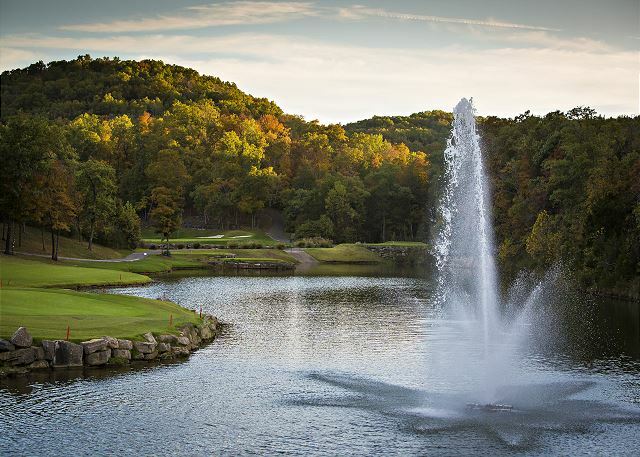 his adorable getaway is the perfect place for anyone wanting to experience to spendor of the Ozarks. 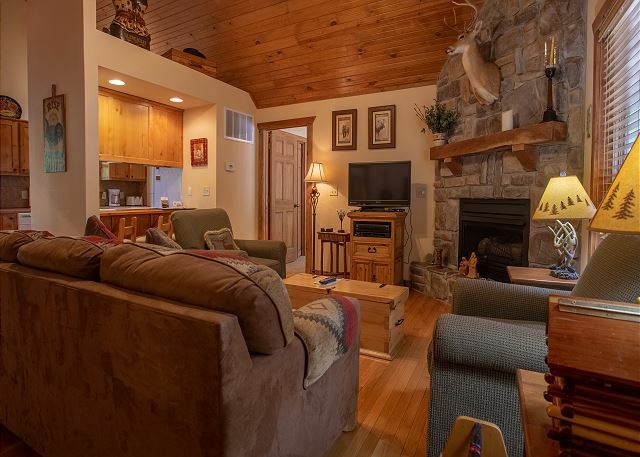 Nestled in the beautiful Stonebridge Resort, this lodge is surrounded by beauty and nature, as well as several fantastic amenities that are at your disposal! 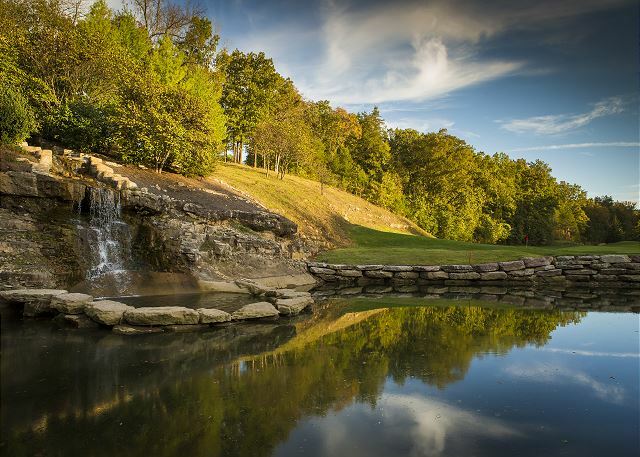 There is something everyone will love at Stonebridge, from the swimming pools and golfing to the catch and release pond and so much more! Hours of fun and laughter can be spent in Stonebridge alone. 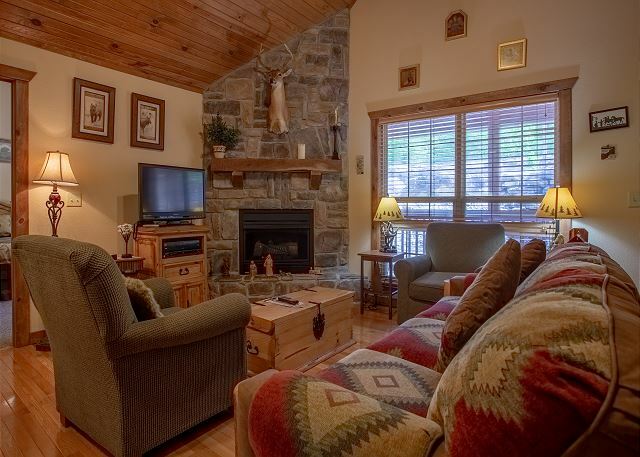 When the day winds down and it's time to relax, venture back to the lodge to unwind. Catch up on all the news and your favorite shows with the satellite TV, or check in with everyone back home using the complimentary wi-fi. 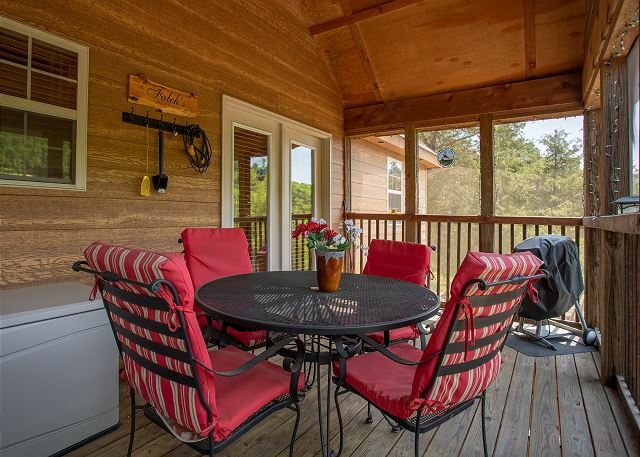 Pop in a DVD and watch a movie with the family, or just hang out on the screen-in porch and go over your magical day. This place was lovely but I am 78 years old and physically not as agile as I use to be. 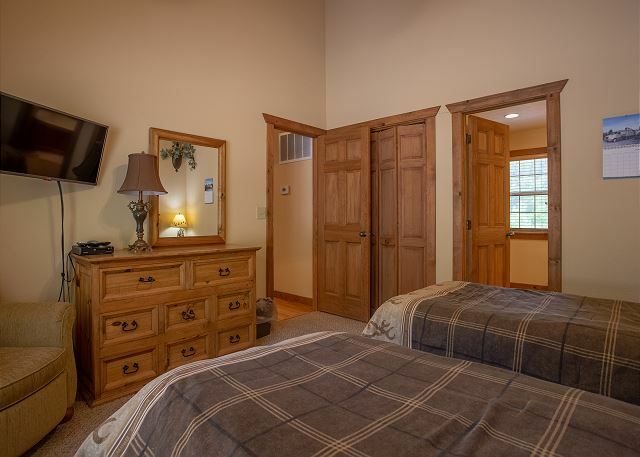 The large bed in the main bedroom was very difficult to get in because it was very high and the commode in the bathroom was very low with no assistance to get up. 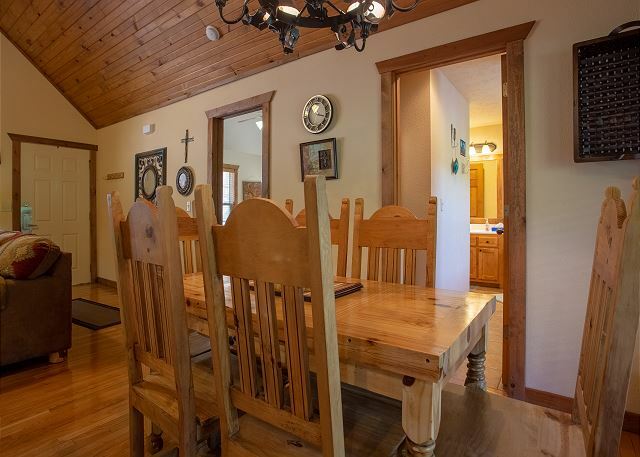 The kitchen, porch, and dining area was lovely. We were 4 elderly women. Thank you though for a nice clean home for 6 days. Was exactly what we were looking for in a beautiful location! Would stay there again on a heartbeat. My family and I took a weekend trip to the Branson area and had a great time. Dakota Lodge is perfect. The cabin was clean and spacious. 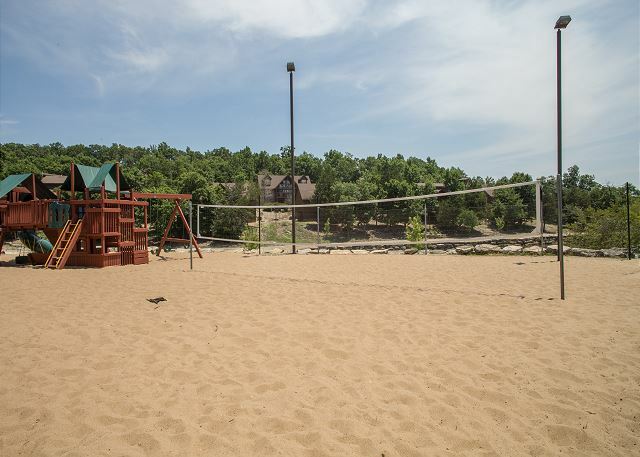 The Stonebridge area is amazing and we loved all the amenities! Thanks for the review, Jennifer. 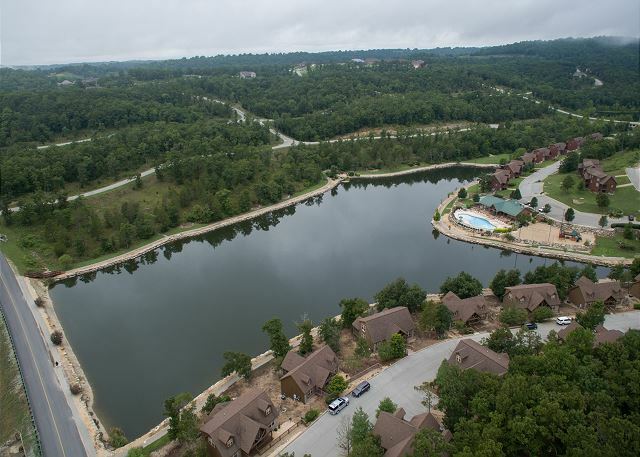 We're happy you enjoyed the lodge and Stonebridge Resort! Overall I think we are pretty happy with our stay. 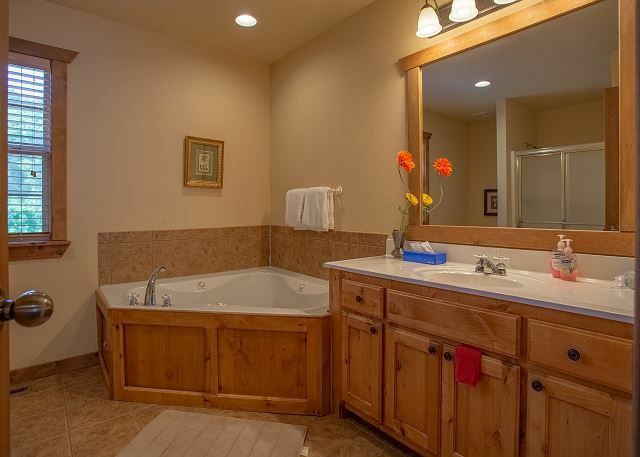 The property was clean, well maintained and easy to find. Convenient location for visiting Silver Dollar City. A bit too much bulky furniture in the living area for the space available. It's bit crowded. There was barely enough room to use the pull out couch without pushing the rest of the furniture to the walls. 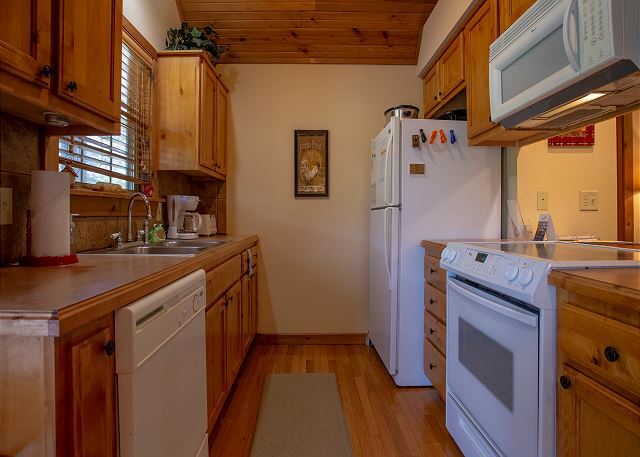 The kitchen could have been equipped better for guests that tend to cook most of their meals at the cabin. 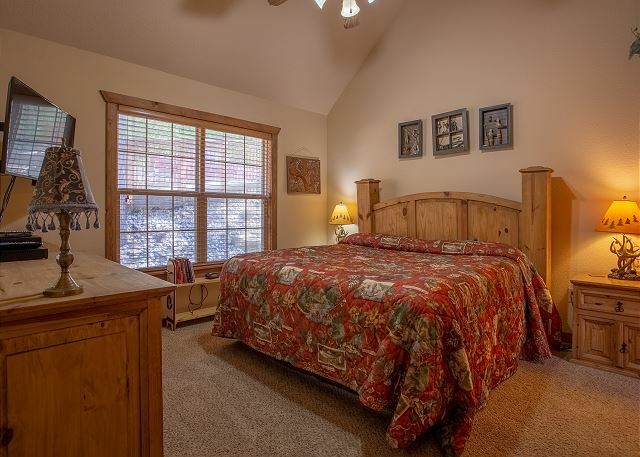 This cabin would be great for a couple with 2 young children (king bed and 2 twin beds). Any more people in the house than that seems like too much. We had a great weekend. The cabin was very comfortable and had everything we needed. The community is safe and secure. The rear deck was screened and we spend a lot of time out there enjoying the peace and quiet. We had a great time. Beautiful property. Cabin was cozy and clean. Quiet. Beds fairly comfortable. No complaints. Good morning, Kelly. Thanks for the review! We're so glad to hear you enjoyed your stay at Dakota Lodge. We can't wait to see you again in the future. Be sure to mention your previous stay with us for a special returning guest discount! 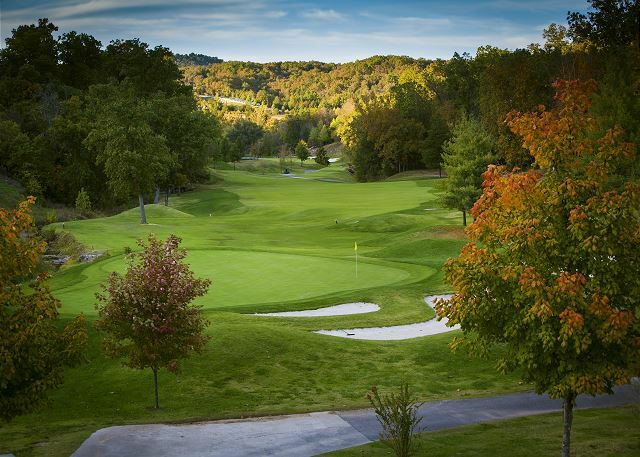 This is a great place for a weekend get-a-way or longer stay. Good afternoon, James. We're delighted to hear you enjoyed the Dakota Lodge. We hope to see you again in the future, and don't forget to mention your previous stay for a returning guest discount. Thank you so much for your review! Great home away from home! 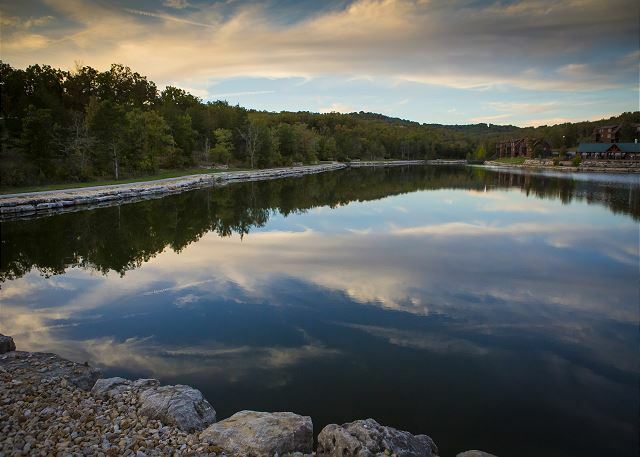 Convienent to SDC, table rock lake and Branson. Rental process easy. Master bed very comfortable however twin beds could use some memory foam toppers. All the convience of home but in a beautiful setting! 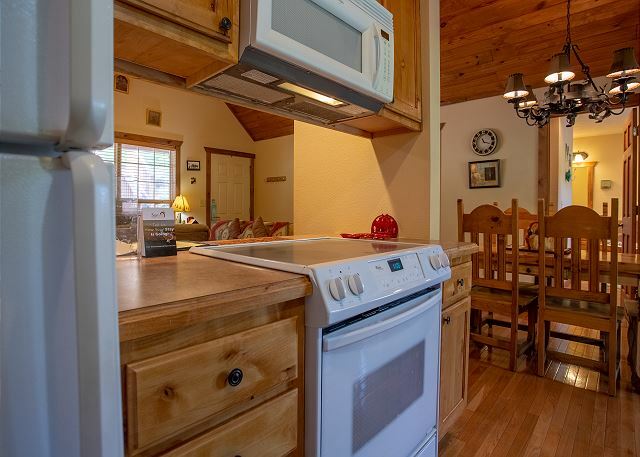 When we walked into the cabin, it was so much more than we expected! We enjoyed spending time early in the morning and later in the evening in the screened in back porch. The cabin was stocked with everything we needed except our clothes and food. We will return! We loved sitting on the screened deck watching the clouds come down over the hills. We liked the quality of the facility & Stonebridge. Very quiet & restful. 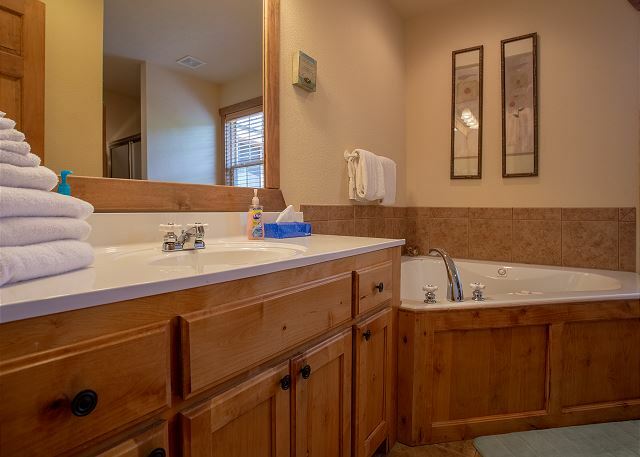 Very quiet rental with everything you need. Cooked all of our meals at the home and had all we needed. Beds were comfortable and the place was very quiet. Management company was very professional and extremely cordial. Loved the key pad for entry. Very good TVs and channel choices for really hot days and thundering nights. It is a bit of a hike to get to swimming or play equipment so just know the kids would need transportation to get there. Soap, toilet paper, etc. were pretty skimpy quantities for a long stay.Overall, way better than most homes where we have stayed. We found the Dakota lodge just the right size to fit our needs. 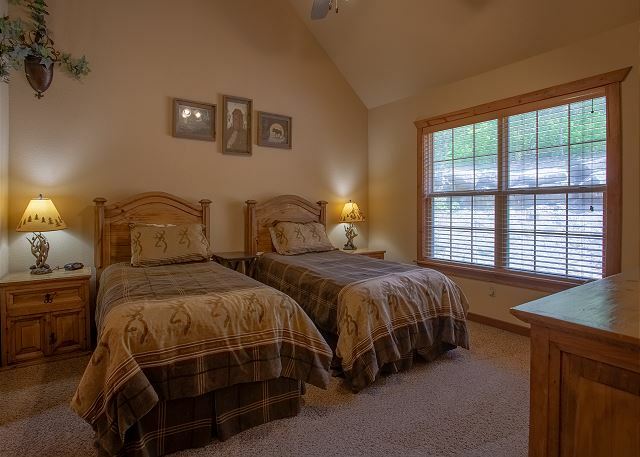 We had two of our grandchildren with us so the twin beds worked great. I couldn't find any other cabins with this option. The place was clean and provided everything we needed. 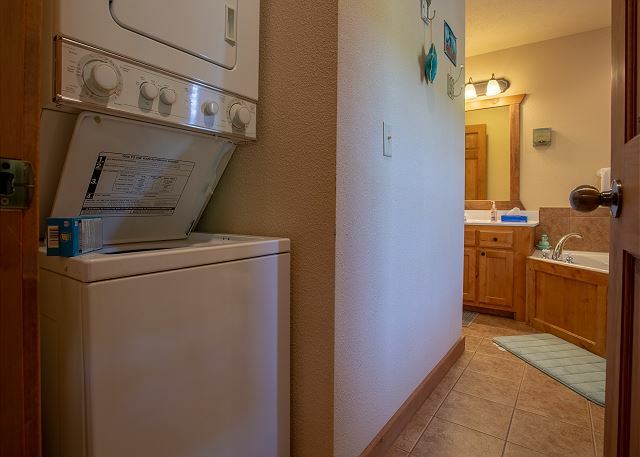 The only thing I would have wanted different was a larger washer/dryer. They are stackable and but very small in capacity. We would definitely stay here again!! From the time we walked in to our lodge to the time we left, we felt like we were at our home away from home. We had everything we needed. 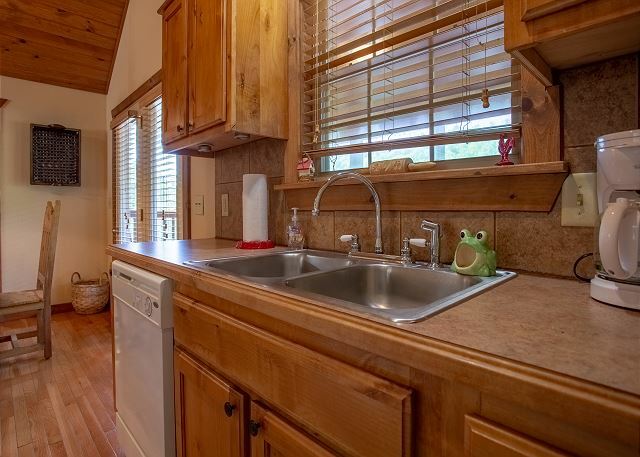 The lodge was spotless! 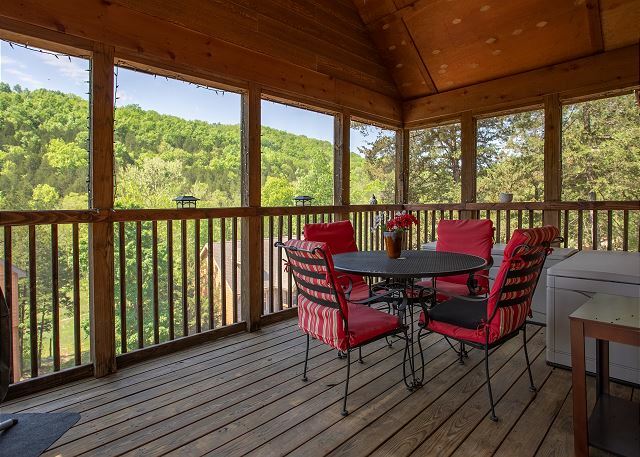 We fell in love with the screened-in porch, and spent our evenings there enjoying the view. We only had one issue and that was arriving after dark, we had a terrible time reading the signs on the property. That is know fault of Sunset Nightly Rentals, but it would be a huge benefit if Stonebridge could light up their signs a little better for people like us who are directionally challenged. :-) We will definitely be back! Nice cabin! Very relaxing - overall positive experience. 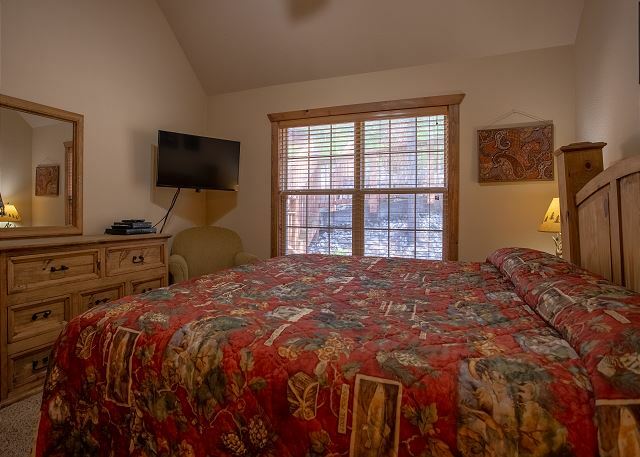 Only a couple downsides...bugs on the floor near windows (I know this is in the woods so I can understand) but the bed linens smelled a bit musty so this makes me think the house had been cleaned but set vacant for a while. We can't say enough good things about our stay. Home was clean, comfortable and homey. We enjoyed the peace and quiet. It was a challenge reme ering the location, but thank God for GPS. A bit pricey, but everything is I guess. My family and I stayed in the lodge and loved it. It was very clean and it had all of the comforts of home. We would highly recommend staying here. My daughters, grandchildren snd I stayed at the Dakota. It was all and more than we expected. A great weekend getaway at a very reasonable rate. We will be back. 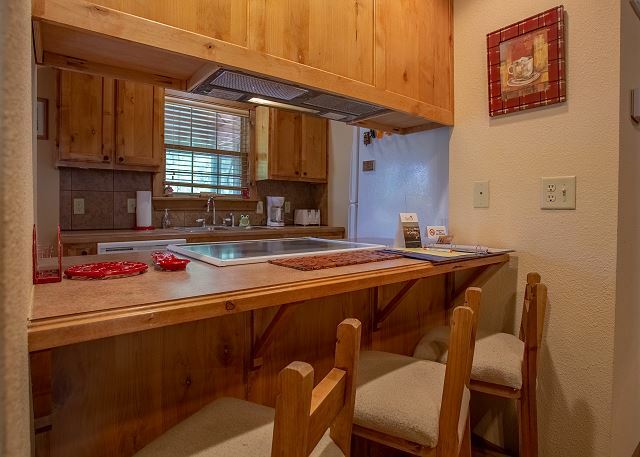 I must admit that I sent an email to Sunset Nightly Rentals earlier complimenting them about how great our stay was at the cabin. We had requested another cabin, but it was already taken. Our disappointment ended the moment we entered our cabin and saw how clean it was, and how filled with all the little things we needed. We expected so much less, but got so much more. I kept passing my hand over things to find dust, NOTHING. When we took cushions off of sofa to make bed, NO CRUMBS OR TRASH! Beautiful area!! 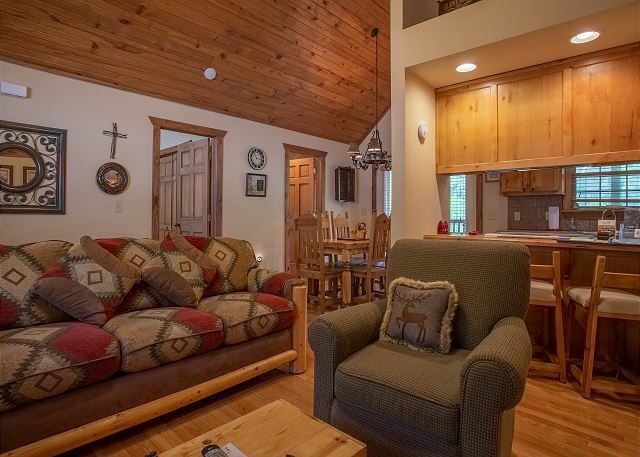 Should we ever return to the area, this cabin is the one we'd love to stay in again. As I stated in the contact email days ago, it was our home away from home. One of the highlights of our trip! We were very satisfied with our stay. When I emailed the office regarding a question, they responded immediately to my call. My family are neat freaks. 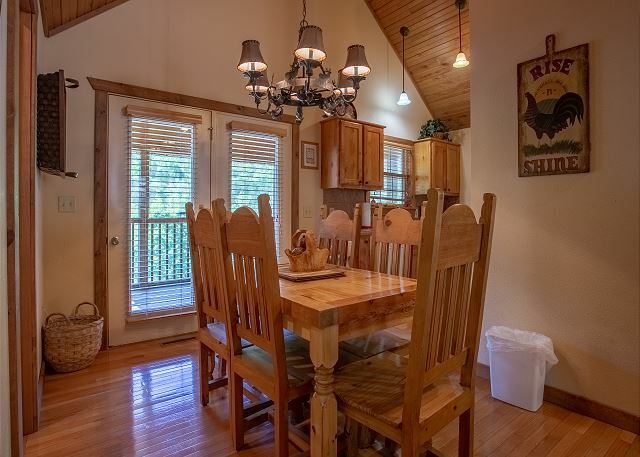 We were very satisfied with this cabin , the location, management, and beauty of the property. 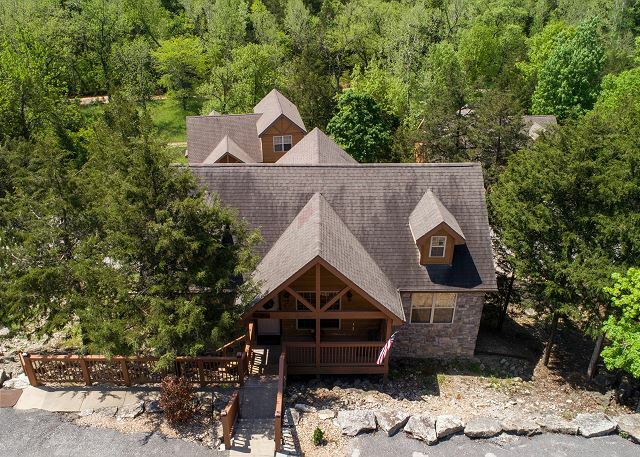 We would definitely recommend this property to a friend. The rental was exactly as described and was even nicer than the pictures. It was clean and well kept. We loved the back deck and having 2 bathrooms. The location was great. 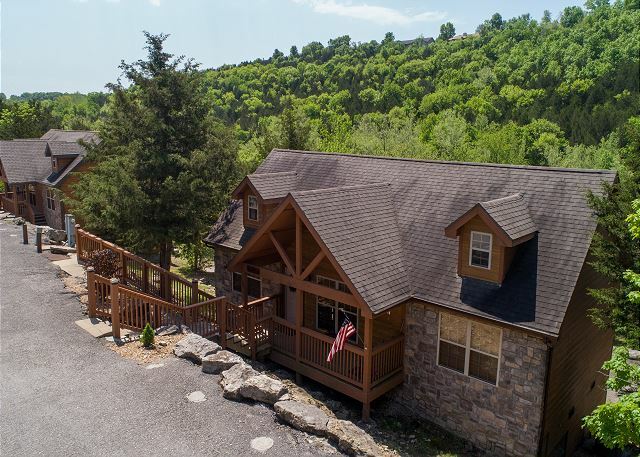 Away from the strip but very close to Brandon West Silver Dollar City and Indian Point marina. We rented a boat there for the day. We loved everything about our stay.